DC/DC Converters offer output currents up to 80 A.
DC/DC Converters offer wide input range of 4.5-13.8 V.
PLC Modules suit embedded networking or electronics. 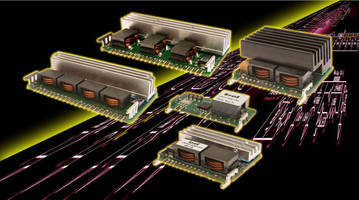 Magnetics Modules target 10 GBASE-T PHY transceivers. 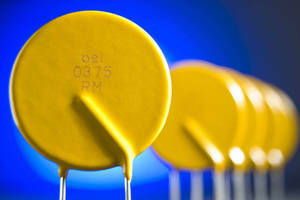 Resettable Fuses are rated for operation up to 120 Vac/Vdc. 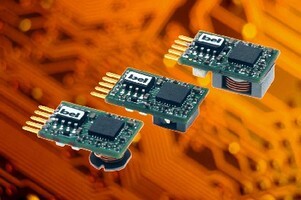 DC/DC Converters suit space-critical applications. 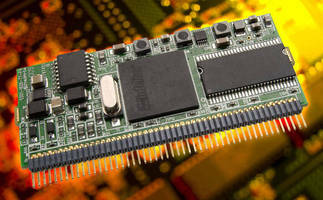 DC/DC Converters target space critical applications. RJ11/RJ45 Modular Connectors feature protective coating. 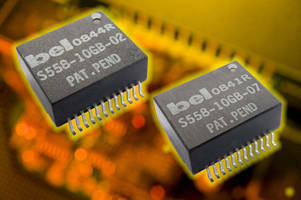 DC-DC Converters feature 4-to-1 input voltage range.